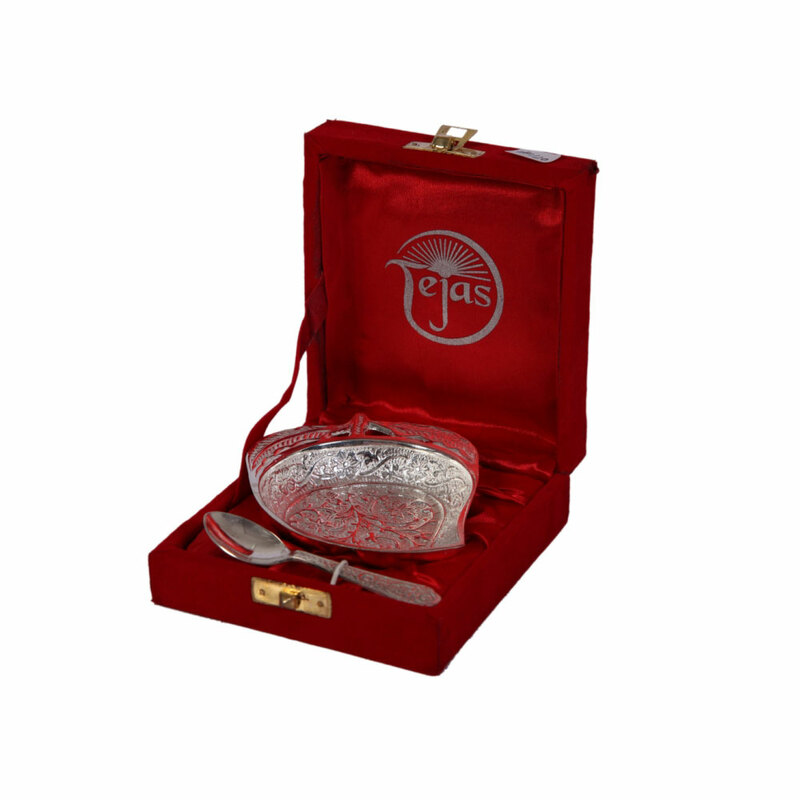 This is undoubtedly designed to feature to the grace of any assortment of tableware, that is what creates it an ideal gift for somebody special. 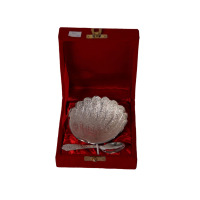 Placed beautifully amidst the satin folds of its delicate red velvet packing box, this silver serving bowl shaped like a mango is simply outstanding. 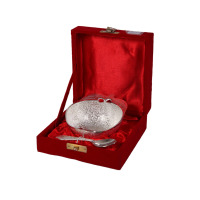 It Read More..is definitely designed to add to the grace of any collection of silverware, which is what make it a perfect gift for someone special. Show Less.. 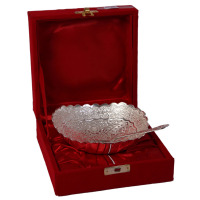 This bowl is amid a inherited wealth with a handle decorated within the same fashion and also the 2 along create excellent sweet set for home use. 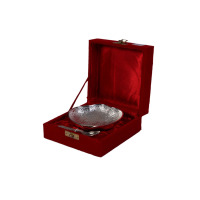 The set is amid a solid inherited wealth having a fantastically embellished self carved handle. The lustrous outer surface, together with the inherited wealth having a self sculptured handle merely boost the magnificence of this bowl. 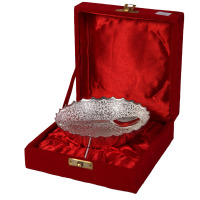 This circular serving bowl is crafted from silver and has lovely self-carvings on the inner aspect of the bowl moreover on its back handle, this can be wonderful.